Quiet on lowest speed settings, loud on highest. 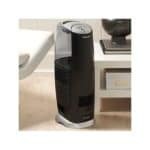 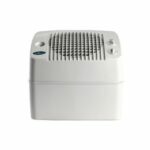 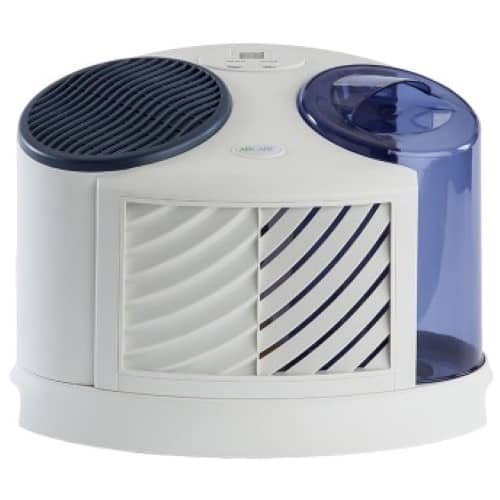 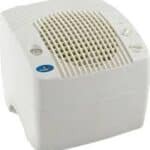 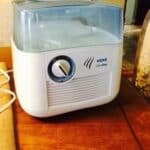 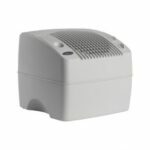 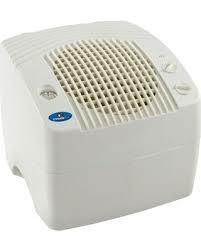 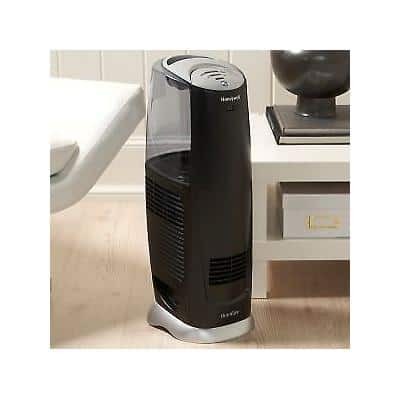 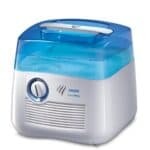 Large rooms humidifiers for affordable prices. 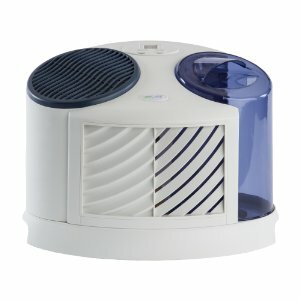 Not very stylish but maybe you find your favorite here. Also, could be more features but then you should look in a more expensive category. Essick Air / Aircare 7D6-100 has a water refill indicator, humidistat, humidity display, it shuts off when reached desired humidity level. 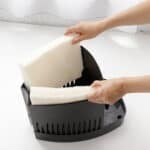 Dishwasher safe base. 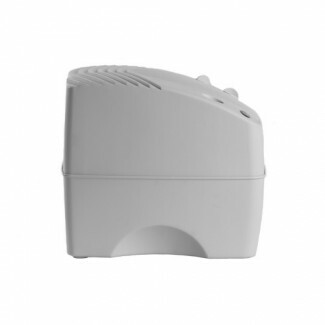 The water tank has a carrying handle. Essick Air / Aircare E35-000 is easy top-fill. 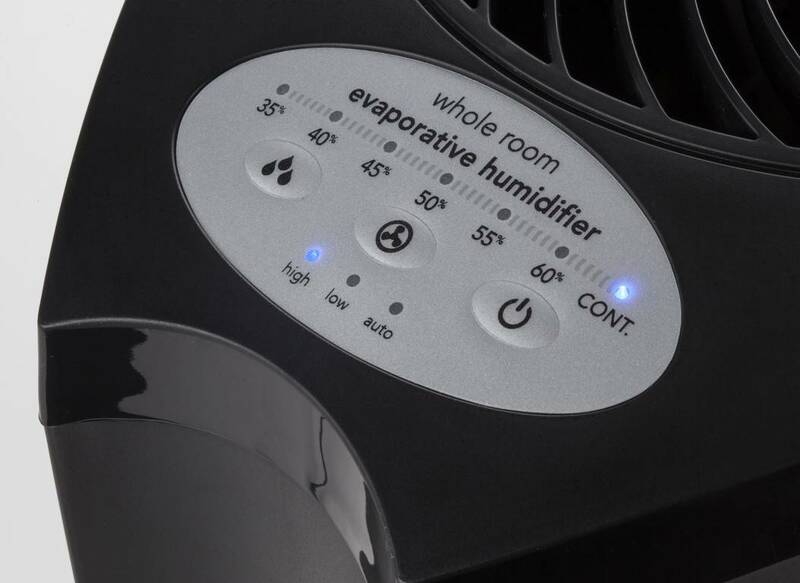 It has a humidistat. 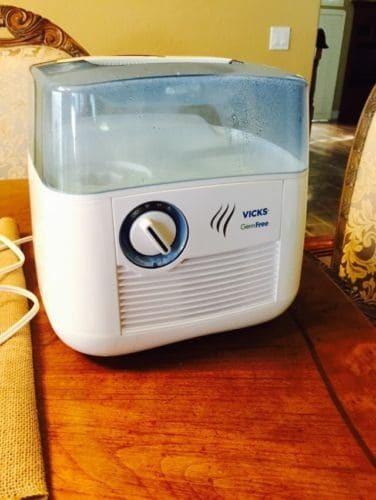 High moisture output. Top-rack is dishwasher safe. 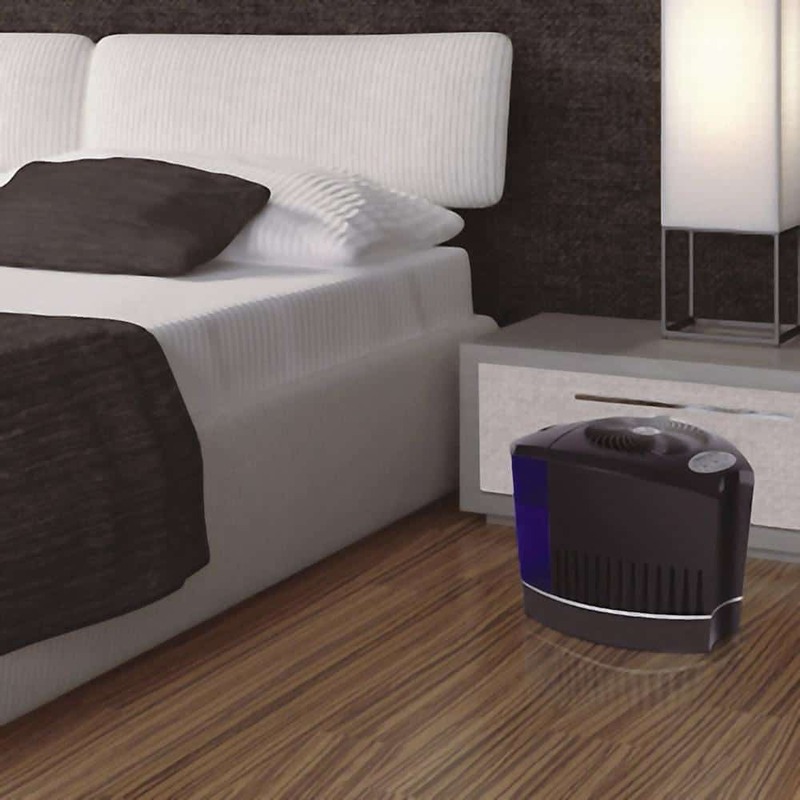 Compact design, lightweight. 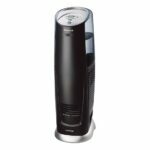 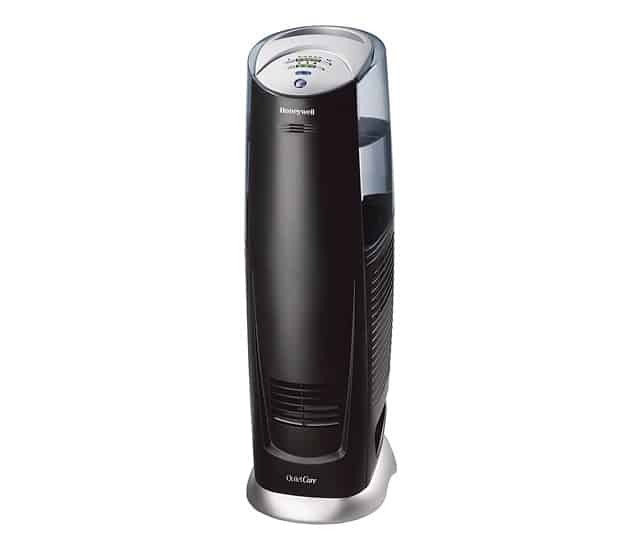 Honeywell HCM-315T has a slim tower design, UV technology, anti-microbial filter, large tank size, wide tank opening for easier water refill and cleaning, long runtime, adjustable humidity control. 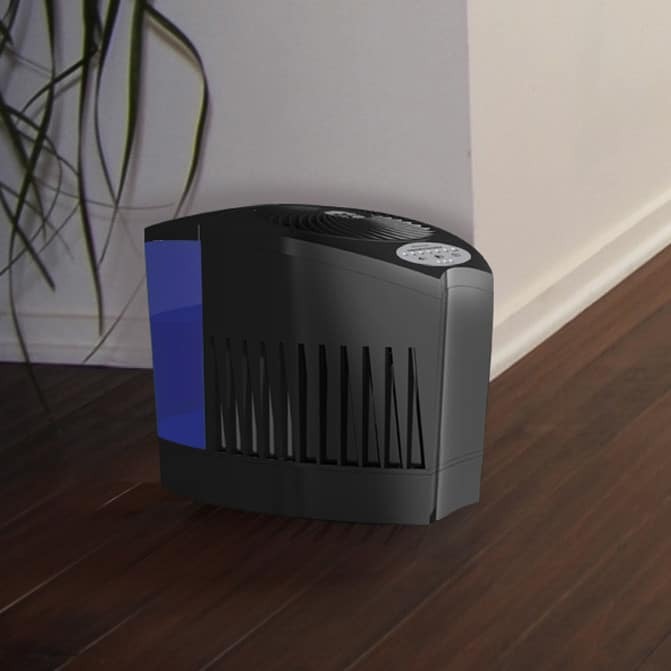 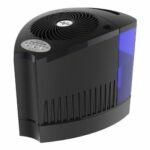 Vornado Evap3 has a modern design, electronic humidistat for automatic humidity control. 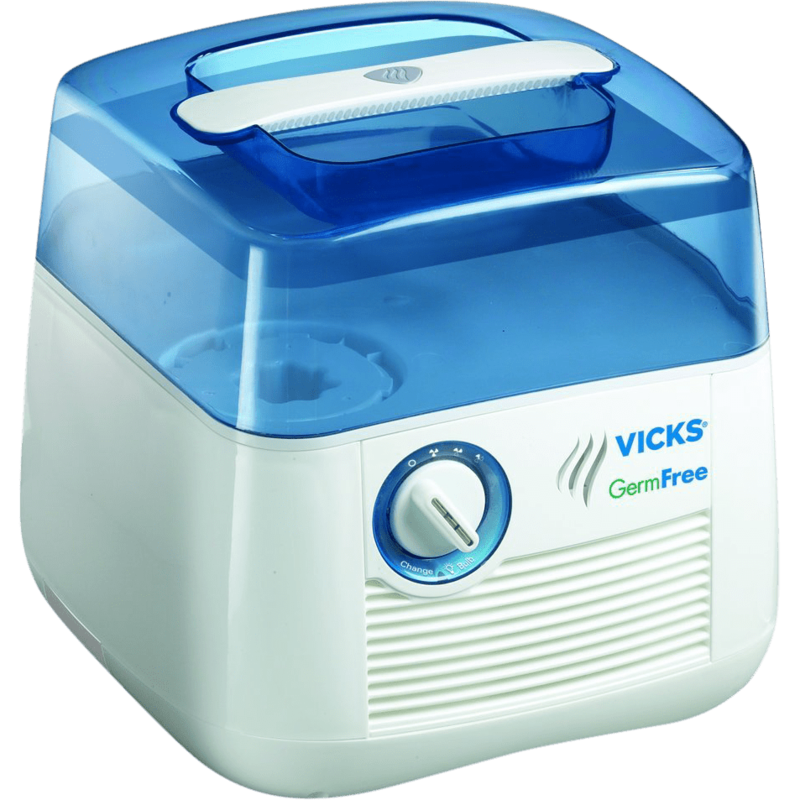 A container is easy to remove and refill, leak-resistant base. 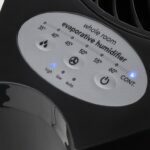 Good humidification power. 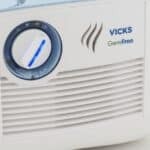 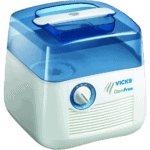 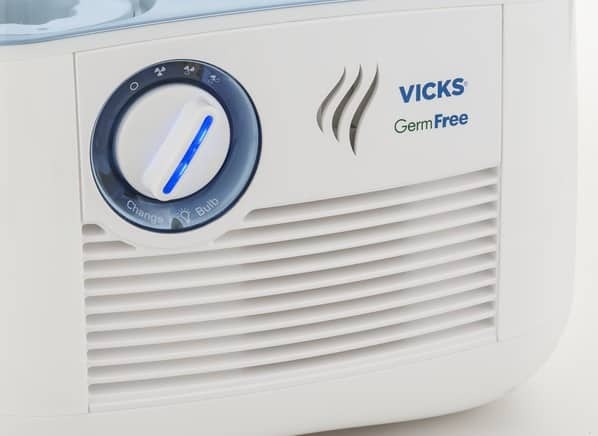 Vicks V3900 ProTec Anti-microbial-treated filter prolongs the life of wicks filter. 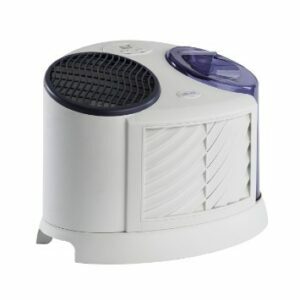 The humidifier has tank handle, scent pad. 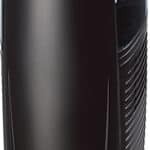 The tank top is flat for an easier water refill. UV chamber to kill germs and bacteria.